Everything is happening. 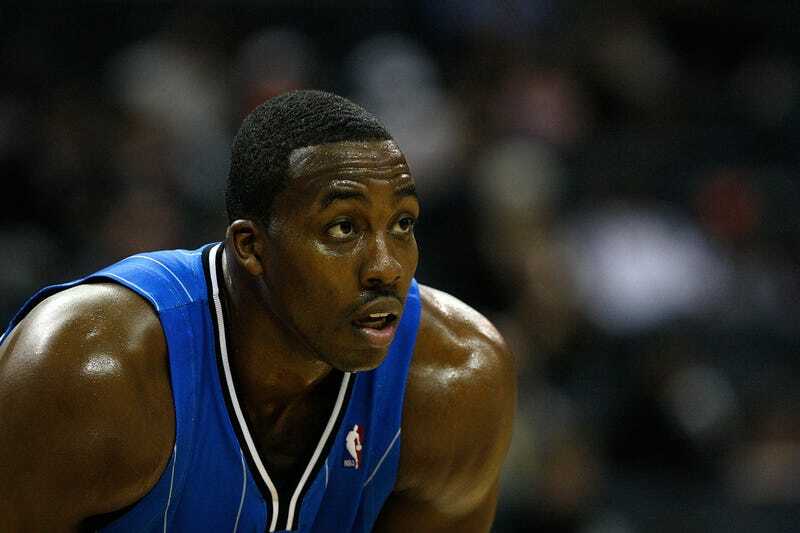 David Aldridge reports that the Orlando Magic are considering filing tampering charges against two other teams for having contact with Dwight Howard. SI's Sam Amick says the teams are Houston and New Jersey, and that Nets owner Mikhail Prokhorov may have met with Howard yesterday. It's no huge secret Dwight Howard wants out, even if he's never gone as public as Chris Paul did. But the Magic are said to be terrified of losing him in free agency and getting nothing in return. They're infuriated that Howard's desire to leave cripples their trade leverage. The Magic, the source said, will not let Howard dictate the terms of where he wants to go. "This will not be another Shaq situation," the source said. The Magic will "do what's in the best interests of the organization" and will not be left with nothing. These are exactly the same motivations that ignited the Chris Paul shitstorm: owners wanting to limit the power of players, and small-market owners crying foul on competitive imbalance (sorry, "basketball reasons"). It is unbelievable that we had a five-month lockout and solved none of this. Tampering charges would be a warning shot across the Lakers' bow, and an unmistakable message to Howard. It would also be another clear sign that the NBA is as screwed up as it's ever been: owners as manbabies, throwing their toys to get attention.